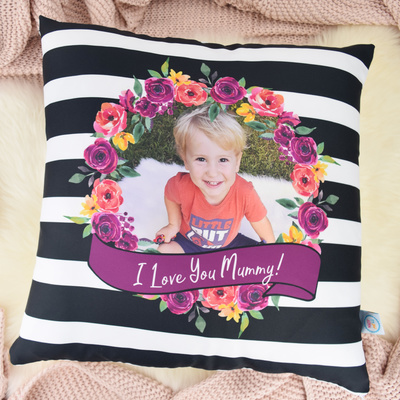 Made Just 4 U photo cushions are printed on quality polytwill fabric using vibrant coloured inks that make your photos 'pop'. 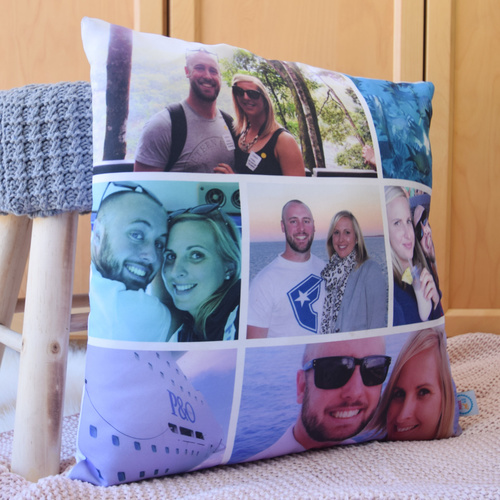 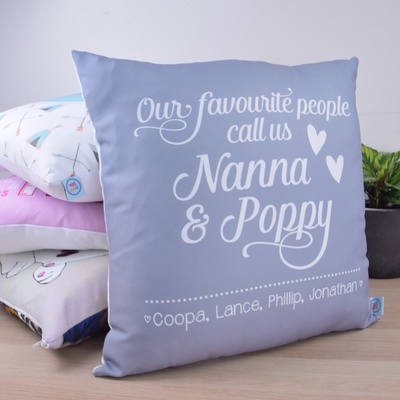 All cushions are handmade to order and can be customised with your favourite set of photos. 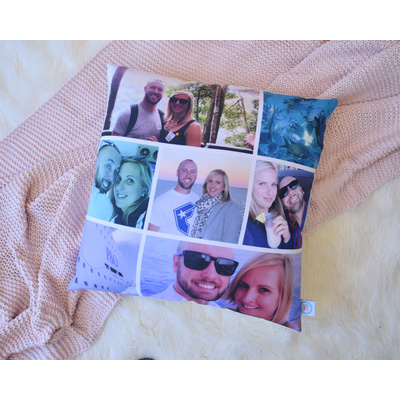 The Memories Photo Cushion Cover displays 7 photos on the front side of the cushion, with the option to have a special message or full photo displayed on the reverse side. 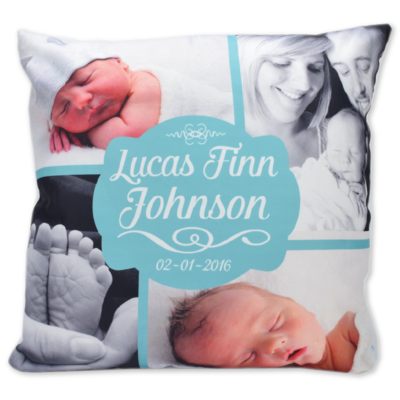 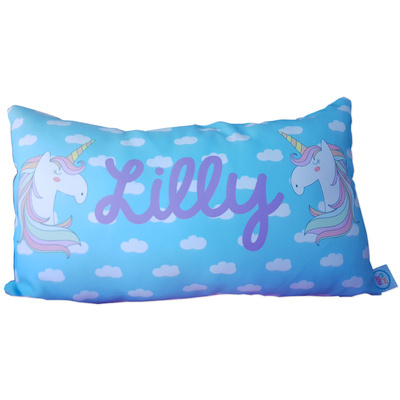 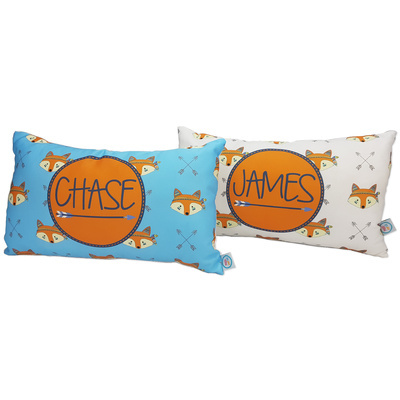 Add a cushion insert to your order and the cover will come ready to display when it arrives. 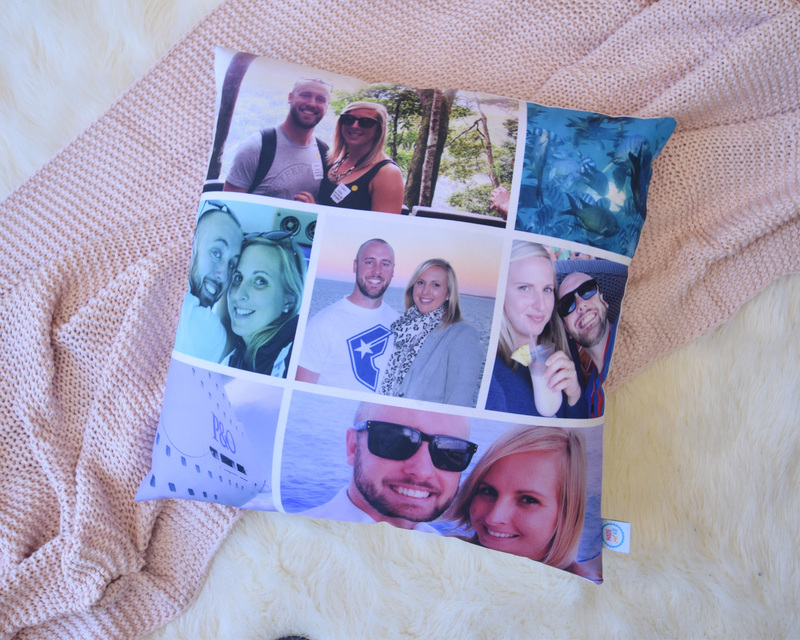 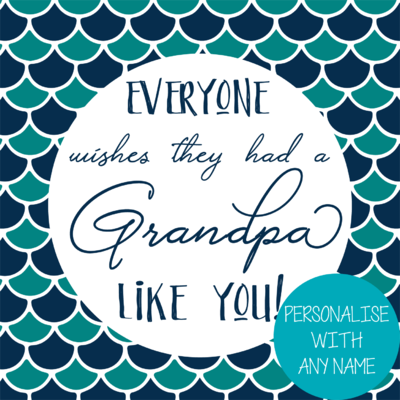 Once you have made the order please choose 7 photos and email them to hello@madejust4u.com.au. 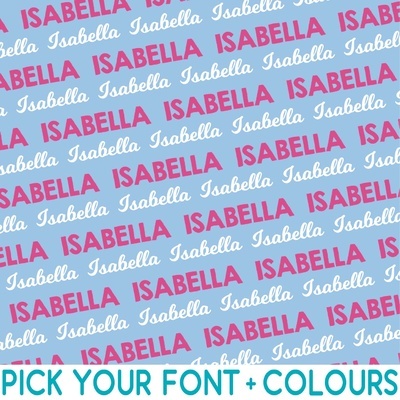 I will download them and create the design from there. 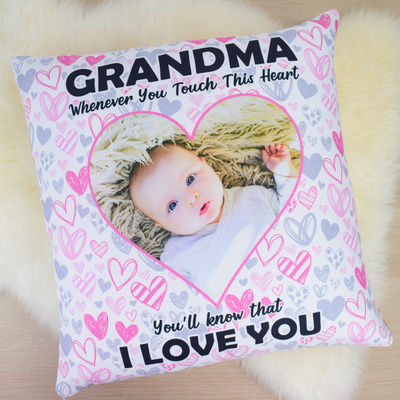 If you would like to see the design before I print please let me know when you send the photos through. 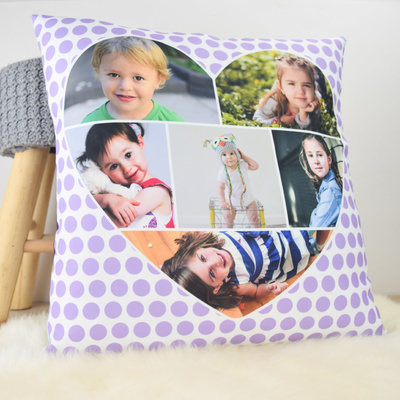 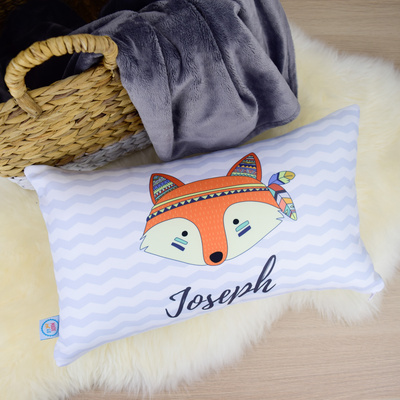 If you wish to have the photos in a set arrangement on the cushion, please provide this information and I will create the design to your specification. 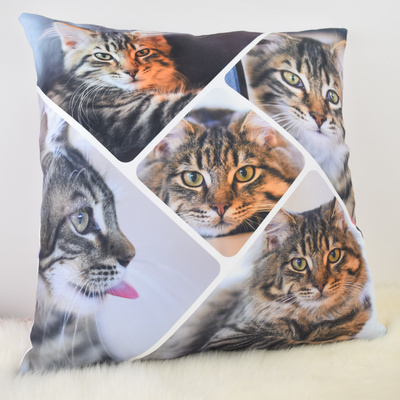 If I do not receive these instructions, the photos will be arranged to give the best result.